How will Audition Oracle be helping to support singers next? In 2017 we established the Audition Oracle Singers Preparation bursary to help singers turn up to their next engagement fully prepared and ready to go. Throughout 2018 we awarded at least one recipient every month and have been delighted to have helped some twenty plus singers in an a small but real way. We have loved hearing the developments of all the artists we have supported. 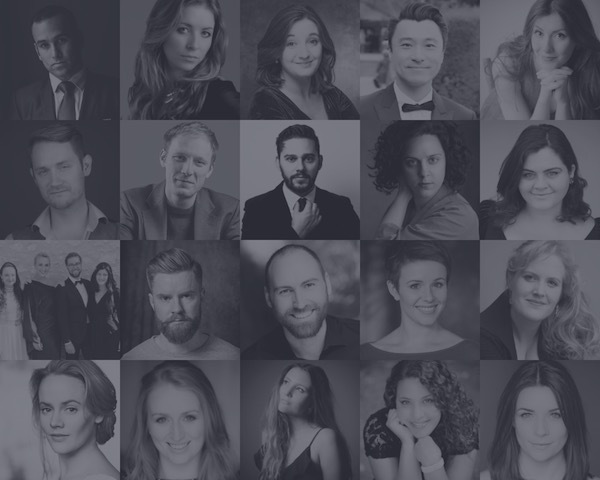 For 2019 we have chosen to supported the creation of Opera: By Voice Alone - an initiative that provides an opportunity for aspring and professional opera singers to enter a classical singing competition on a level playing field. This competition is all about removing unconscious bias and allowing us to really listen to your voice without the distraction of anything else that we may know about you as an aritst. First round auditions take place blind behind a screen. No names, CVs, experience or visuals. The voice is simply assessed on the here and now. It's a unique opportunity that precludes nobody from competing for the possibility to sing in front of casting professionals from our major opera houses. We want everyone who is an aspiring or professional opera singer to take part. Age, gender, ethnicity, background, state education, private education, chorister, soloist, trained at music college, didn't train at music college, disability. None of this will come into the equation. We simply want you to share your voice with us and take that as the starting point for our selection process. We want to see what happens when we listen to you By Voice Alone. Round Two: Jury & Panel Audition – Wednesday 1st May 2019, National Opera Studio, Wandsworth. Please email [email protected] to join the waitlist for any of the full audition dates. We hope to shortly release a few dates in early April. We are delighted to announce mezzo-soprano Georgia Mae Bishop as our final winner of the Audition Oracle Singers Preparation awards for 2018. 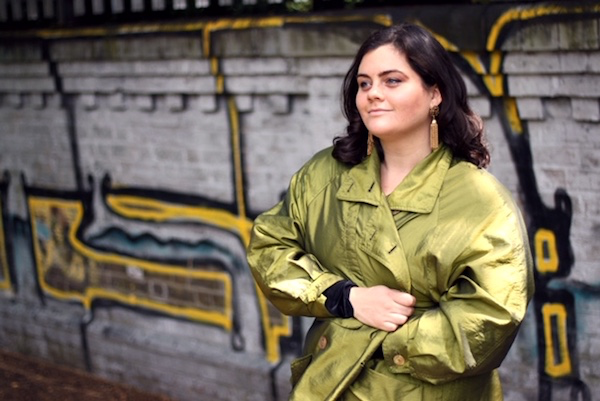 We kept the announcement under wraps until Opera Holland Park announced that Georgia will be singing Madame Arvidson (Ulrica) in Ballo in Maschera for the OHP Young Artists. The award will go towards coachings and lessons to enable Georgia to turn up fully prepared for this exciting debut. Born in Jersey, mezzo-soprano Georgia Mae Bishop is a recent graduate of the prestigious Opera Course at the Guildhall School of Music & Drama. She holds a masters in performance with distinction from the Guildhall School and a BMus (hons) from Trinity Laban Conservatoire of Music and Dance. Whilst at the Guildhall she was the winner of the Chartered Surveyors vocal competition and a recipient of an Opera Awards Foundation bursary. Other competition successes include 2nd prize at the Wagner Society Singing Competition (2016) and finalist in Fulham Opera’s Robert Presley Memorial Verdi Prize (2017). Described as ‘a performer with a strong vocal personality and stage presence’ (Opera Magazine), Georgia has received critical acclaim for her portrayal of numerous roles on the operatic stage. Recent credits include Filipyvena Eugene Onegin (Opera Loki), Mistress Quickly (cover) Falstaff (Garsington Opera), Zita Gianni Schicchi (Barbican Concert Hall), La Prieure Dialogues des Carmélites, Vera Boronel The Consul, Zenobia (cover) Radamisto (Guildhall Opera), title role Carmen, Ruth Pirates of Penzance (Dartington Opera), Sorceress Dido and Aeneas (Opera Lyrica), Cyrus Belshazzar (Trinity Laban Opera), Witch Hansel and Gretel (Guernsey Symphony Orchestra). Georgia has also performed as a part of the chorus with Grange Park Opera and British Youth Opera. Georgia made her Barbican Hall debut with the LSO as Alto Soloist in Schumann’s Scenes from Goethe’s Faust, and her Royal Festival Hall debut as the contralto soloist in a performance of Ustvolskaya Symphony no.4 with the LPO. Other concert highlights include; Alto Rhapsody Brahms, Sea Pictures Elgar (Canterbury Symphony Orchestra), Alto semi-chorus soloist Elijah, (St John’s Smith Square), Folk Songs Berio, (South Bank Centre), Messa da Requiem Verdi, Messiah Handel, and The Apostles Elgar, (Ely Cathedral). Georgia has taken part in masterclasses with Brigitte Fassbaender in the Wigmore Hall, excerpts of which were later played on radio BBC 3’s Music Matters, Dame Felicity Palmer, Amanda Roocroft and Dame Kiri te Kanawa. Georgia is incredibly grateful to The Worshipful Company of Weavers, The Steel Charitable Trust, The One Foundation, The Paul Brown Charitable Trust, The Opera Awards, The John Lobb Trust, The John Hosier Trust and the Drapers Company who supported her during her studies. If you would like to be kept up-to-date with auditions and opportunities, register your free basic account now and also receive a FREE 30 day trial to our premium service.